A couple of years back two Dutch (or, at least, Netherlands-based) philosophers, Anton Vedder and Laura Klaming, wrote an article defending human enhancement for the common good. 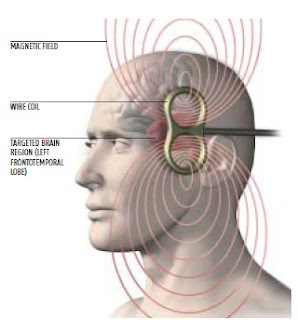 The example they chose to make this case was the, admittedly speculative, use that transcrancial magnetic stimulation (TMS) could be put to in enhancing memory and eyewitness testimony. Vedder and Klaming’s article is an interesting one. It discusses scientific work done on memory enhancement, and points to some studies suggesting that TMS may have a positive effect on memory. It also discusses some epistemological and ethical concerns associated with the use of TMS for memory-enhancing purposes. The central conceit of the article is that by focusing on the contribution of human enhancement to the common good, we can help to move the enhancement debate out of its traditional, stale and somewhat staid parameters. As the authors see it, the traditional enhancement debate is too bound-up with the effect of enhancement at the individual level and hence fails to see the social goods that might flow from the use of enhancement technologies. (Incidentally, I don’t know that this is a fair characterisation of the debate, but I’m willing to ignore it since it doesn’t really detract from the discussion I want to pursue.) By highlighting the role that enhanced memory could play in improving legal decision-making — which relies heavily on eyewitness testimony, which in turn relies on memory — the authors try to give us one such social good and so one alternative perspective on the enhancement debate. The problem with all this is that Vedder and Klaming fail to make explicit the argument they are using to support their central thesis, namely: that enhanced memory actually would contribute to the common good. It may seem obvious what this argument is given the brief summary I outlined in the previous paragraph, but one should always be wary of “obvious” arguments, they have a tendency to contain dubious implicit premises. Fortunately, Vedder and Klaming’s article appeared in AJOB Neuroscience, which allows numerous peer commentaries to follow an original article like theirs. One of those commentaries, by Martin Hauskeller, did the hard work of reconstructing their argument and subjecting it to critical scrutiny. The remainder of this post is taken up with the exposition and analysis of Hauskeller’s piece. (1) Eyewitness testimony “plays an important role in the apprehension, prosecution and adjudication of criminals” (reference omitted) because the decisions made by law enforcement officials rely heavily on it. (2) Relying on eyewitness testimony can only be justified if it can be trusted, i.e. if there is sufficient reason to believe that it is accurate. (3) The accuracy of an eyewitness’s testimony depends on the accuracy of their memory, which, however, is notoriously malleable and hence unreliable. (4) Therefore, any means of improving the accuracy of memory is desirable with respect to the purpose of apprehending, prosecuting and adjudicating criminals. (5) Since, it is in everybody’s interest that criminals are found out and get convicted (and innocents do not), improving eyewitness memory is therefore beneficial for all of us (except perhaps for criminals), that is, for society as a whole. (5*) It is in everybody’s interest (except perhaps the criminal’s) that criminals are found out and get convicted, and that innocents do not. (6) Therefore, it is beneficial for all of us (except perhaps criminals) for eyewitness memory to be improved (from 4 and 5*). As Hauskeller notes, most of this argument is unobjectionable. Premise (1) seems obviously true: heavy reliance is indeed placed on eyewitness testimony throughout the legal system, particularly in criminal trials. This is not to say that other kinds of testimony are unimportant (e.g. expert testimony) but it remains the case that eyewitness testimony is central to legal decision-making processes. In any event, expert testimony, since it is mediated through an expert witness, relies on memory to some extent and so is vulnerable to the same kinds of problems. Premise (2) is a little tricky. It seems like common sense, but the suggestion that the use of unreliable or inaccurate testimony is never justified might be too strong (some probability of error could be tolerated). Still, it certainly seems true to say that the use of such testimony is more justifiable if it is accurate. Premise (3) is more straightforward: since eyewitness testimony depends on memory, the accuracy of the former would depend on the accuracy of the latter. Premise (5*), and the inference drawn from it and (4) to (6), is where the problems really lie. While it all looks pretty attractive at a first glance — criminals are bad for society, ergo it would be better if they could be accurately identified — Hauskeller thinks its attractiveness wanes if we take a more in-depth look at it. Let’s do that next. As Hauskeller sees it, there are two main problems with the argument. The first comes with the inference from (4) and (5*) to (6); the second then comes with the understanding of the common good that is implied by this inference. Simple Derivation Principle: If we have an interest in X, then we also have an interest in doing anything that helps us to secure/attain X. Conflict Derivation Principle: If we have an interest in X, then we have an interest in doing anything (Y) that helps us to secure/attain X provided that Y does not conflict with our other interests. Although this principle gets us closer to where we need to be, it doesn’t go all the way. There are presumably cases in which our interests conflict but one interest trumps another such that we are willing to sacrifice or forego the one in order to obtain the other, or, alternatively, we are willing to partly serve one interest and party serve another to get the best overall mix of interests served. We could call any principle that allows us to do this the “satisficing principle”. Unfortunately, I couldn’t even begin to formulate such a principle here since the issues it raises are quite complex. I’ll simply leave it as a theoretical need for now. The upshot of all this is that the common good is not a simple, unitary phenomenon. It is a complex melting pot of different, sometimes conflicting, interests. By suppressing this complexity in their discussion, Vedder and Klaming have made the case for enhancing memory for the common good too straightforward. Hauskeller’s objection to Vedder and Klaming’s argument is not purely an abstract one, based on the mere possibility of conflicting interests, it is also a practical one, based on the fact there are some interests that do in fact clash with the one identified by Vedder and Klaming. In particular, it would seem that the use of enhancement in order to detect and prosecute criminals might clash with our interests in privacy and autonomy. To be fair, Vedder and Klaming are aware of this possibility, but Hauskeller thinks they have a slightly cavalier attitude towards it. There are some standard examples that can be used to underscore this point and Hauskeller isn’t afraid to use them. First, there is the fact that perpetual surveillance or “enhanced interrogation techniques” (to employ a euphemism) would no doubt make the jobs of law enforcement officials easier: they would be better placed to detect and prosecute criminals. But that doesn’t necessarily make those things desirable. To subject ourselves to perpetual surveillance would require a reduction in privacy, and to permit enhanced interrogation would involve tolerating excessive and harmful autonomy-violating practices. Are these sacrifices worth it just to reduce crime and make the streets safer? Perhaps, but it would demand a sufficiently compelling satisficing principle to make that case. And to the extent that memory enhancement might involve coercion and revelation of personal information, the similar demand may arise for it. A final point that Hauskeller mentions, which I thought was interesting, concerns Vedder and Klaming’s case for enhancing memory. In the reconstructed argument given above, the two authors appear to suggest that an unreliable memory is the main problem for eyewitness testimony, but really this is only half the problem. The other problem is that eyewitnesses may try to deliberately deceive us — i.e. to lie. To overcome that problem we would require some sort of lie detection or truth serum, which may have to be administered in a coercive, autonomy-undermining manner. Would it be worth it just to get the truth? Again, we have to ask the question about conflicting interests and how best to manage them. Okay, so that brings us to the end of this discussion. To be sure, Hauskeller’s objections to the Vedder and Klaming are not earth-shattering, and, in reality, they aren’t really “objections”, properly so-called. They are really just possibilities and issues that need to be addressed when making the case for enhancement for the common good. Still, his point about the way in which we derive one interest from another is well-made and something we need to be careful about in this, and other, debates.